I’m sitting here reflecting back on my very long, very great day. It was one of those back-to-back-to-back kinda Tuesdays and I should be exhausted. Instead I feel energized and grateful by the people I got to meet – new friends and new customers…and those who will be both. This day started with a show at a women’s holiday luncheon at the Stillmeadow Country Club where I met many heads of businesses and households. I then made a delivery to a lovely women owned shop in Fairfield called Art On Symmes (PS – she also owns Art Off Symmes in Hamilton). 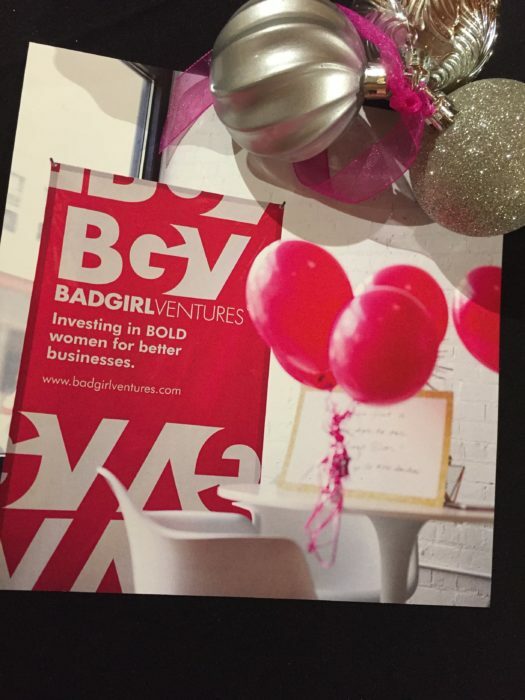 From there I headed directly to the Bad Girl Ventures graduation to hear women entrepreneurs talk about the companies they are forming. Since I went through this program earlier this year it was an opportunity to reconnect with many women who interact and volunteer their time simply to assist another women to find her path and have a great journey. (There are many similar programs in many cities so this isn’t meant as a plug). A belief I hold dear is that strong women can help young girls become strong women. That’s a very broad statement and was structured purposefully. What does that mean to you? It means different things to me on different days and in different situations, but it always indicates possibilities. Many of you know that I moved from the corporate/healthcare world to the maker’s space two years ago as I began my business. The amount of guidance, expertise and wisdom shared with me by others during that time is overwhelming, and it was all offered in an effort to help me build confidence, trust my instincts, build my business and enjoy the journey. All so freely given just so I might realize my dream and go to a place even beyond what that which I could name. It was my early experiences during that transition that further formed my beliefs – both personal and professional. I’m fortunate. We all are. When I pause to reflect on each day there is always someone who encouraged me, listened to me, guided me, was kind to me. We all make each other strong…each others lives strong. I invite you to pause and think about another women or person who made you a better you by their words, actions or presence and then reach out and let them know. Call, text, email, Facebook them, add a one liner to their holiday card. Let’s be each others mirror. Together we’re better.